Maintenance Management Solutions deliver the benefits of real-time data directly to the people who need it, when they need it. Your skilled personnel have immediate access to real-time equipment data (fuel levels, SMUs, machine events, temperatures, etc) supporting proactive maintenance regimes to reduce the effect of in-service failures and unscheduled maintenance. 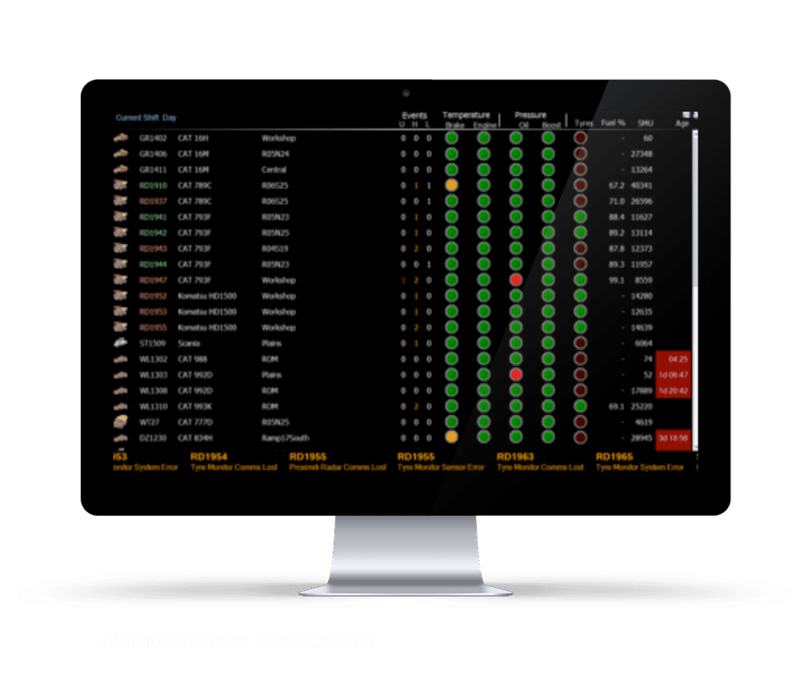 Utilising on-board vehicle management systems, Maintenance Manager™ provides real-time equipment health data feeds. This data is displayed graphically via iReport dashboards at fleet and individual asset levels, with full data history available for informal and scheduled reporting. In the event of site-specified alerts, Maintenance Manager™ provides onscreen alerts within iControl providing true, real-time decision making capability. Maintenance Manager™ will improve your machine availability while decreasing maintenance and lost production costs associated with in-service failures. At over $50,000 per tyre and with a global shortage, extending tyre life is one area where dramatic and immediate cost savings can be realised. Sudden rapid tyre deflations and blowouts are the cause of numerous safety incidents on mine sites every year. 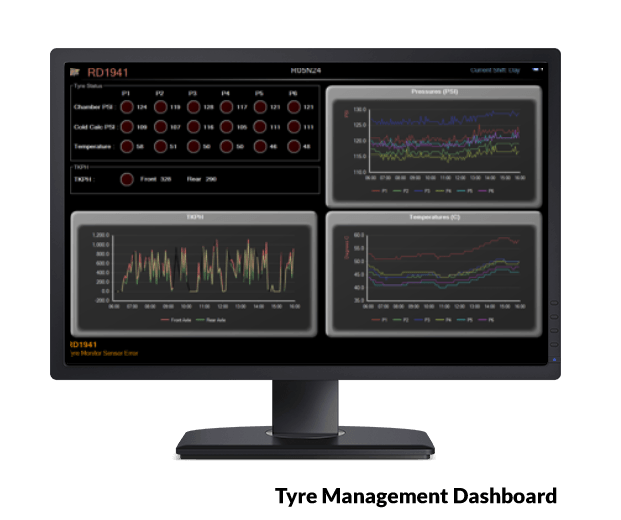 Tyre Manager™ provides mine site management, safety and maintenance teams with real-time access to tyre temperatures and pressures. Respond to over-temperature and under/over pressure events before the tyre reaches critical status. Nexis connects to the receivers via Ethernet. Nexis records temperature and pressure readings from the receivers as soon as new values are available. If a connection exists back to the iVolve Server™, Nexis uploads the data to the iVolve Server™ in real time. If a connection to the iVolve Server™ does not exist (e.g. vehicle is out of range), Nexis will timestamp and log the data on board, to be uploaded to the server once the connection is restored. Nexis records and logs to the iVolve Server™ (as events) any sensor timeouts or read errors. Nexis records and logs to the iVolve Server™ any high/low temperature and pressure events as reported by the receivers. Get in touch with iVolve today and one of our consultants will get back to you to book a time to discuss your needs.